Domain Registration and SEO | Domain Monetizing | Fort Lauderdale | A Work Of Art, Inc.
Before you register your domain name name sure you consult with us so that we can properly research the most popular key phrase data to incorporate into your domain name. If search rankings are not important to you then branding certainly is and this must also be considered when choosing a proper domain name. Variations of your chosen URL should also be purchased for forwarding and securing your intellectual property and assuring that competitors don't take advantage of your online presence. There will be instances that popular domains will be up for sale or auction. Never pay the asking price for a domain name as they are usually inflated prices from owners hoping that one day someone will come along and pay their outrageous cost. There are also companies that offer to sell you a domain name before it is released from the registrar. Talk to us how to skip the middle man and secure that domain on your own. When purchasing a domain name always make certain that it is purchased under your name and owned by your company. Too many times we have had to provide consultation to companies that used "web developers" that wrongly purchased domain names for clients as their own property and have had to use our legal resources to secure their intellectual property. As a matter of fact, always make sure that any online property or development is under your ownership. There are several companies that sell domain names. Some are more reliable and offer better customer service so it is important to consult with us before making these decisions. If you plan on developing a blog you do not need a separate domain name unless you plan on using that as a separate entity. It is always wise to secure a domain name for at least 3 to 5 years because search engines like to see that you are serious about the future of your company. Always set your renewal on automatic so that you do not lose your domain name because you failed to manually renew it. 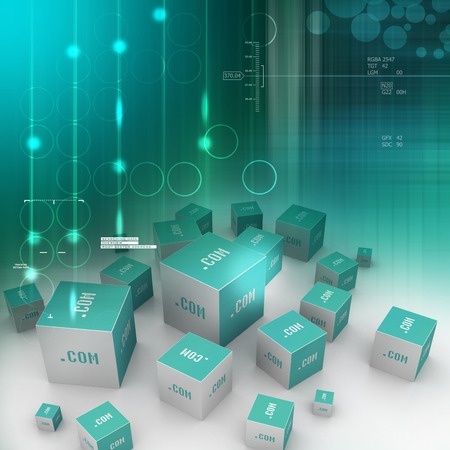 Domain names can be very valuable! If you have a creative mind and can anticipate what businesses, products or industries will become popular you can secure your domain name and sell it later for a profit. Many companies also use domain names in various ways to generate income such a monetizing parked domains, Google's Ad Sense and Amazon's affiliate programs.